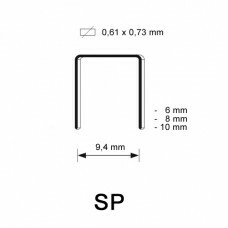 Staple type SP has a crown size of 9,4 mm and is available in the following length: 6 mm - 1.0..
Galvanized staple type 11 Staple type 11 has a crown size of 10,6 mm and is available in the foll.. 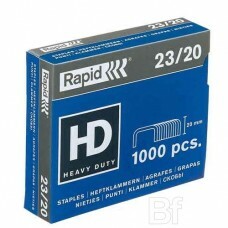 Rapid 23/20 staples for Rapid HD110 and block stitchers from Novus and Skrebba. Extra strong quality..
Staple type 24 in copper finish. In the Netherlands this is the most common staple in offices Cro..
Staple type 24 is the most common staple in offices in the Netherlands. 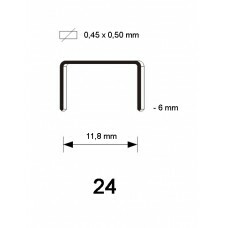 This is the Stainless Ste..
Staple type 24/6 is the most common staple in offeces in the Netherlands. 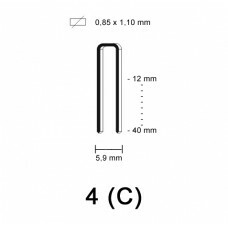 Crown size: 12,7 mm ..
Staple type 24 is the most common staple in offeces in the Netherlands. 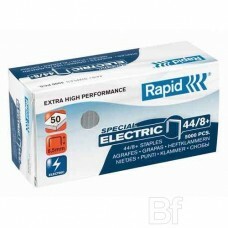 This is staple 24/8 in St..
Staple type 24/8 is one of the most common staples in offices in the Netherlands. 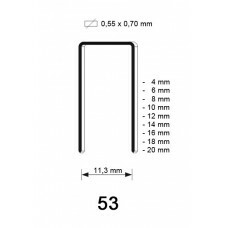 Crown size: 12,..
Staple type 26. This is one of the most common staples for offices. Crown size: 12,7 mm Length..
Saple type 26. This is one of the most common staples in offices. 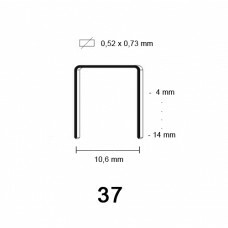 Crown size: 12,7 mm Length l..
Galvanized Staple type 37, suitable for Rapid R19 hamer tacker and many others Staple type 37 has..
Galvanized Staple type 4 Staple type 4 has a crown size of 5,9 mm and is available in the followi.. 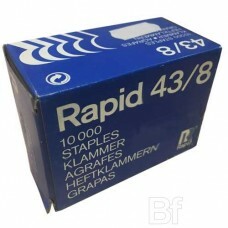 Rapid 44/8+ staples for stapling machines and block stitchers from Rapid. 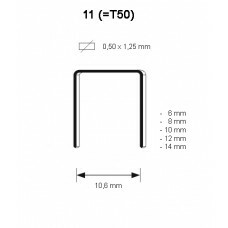 Extra strong quality, suit..
Staninless steel staple type 53 with a length of 10 mm Staple 53 has a crown size of 11,3 mm Q..
Galvanized Staple type 53 Staple type 53 has a crown size of 11,3 mm and is available in the foll..